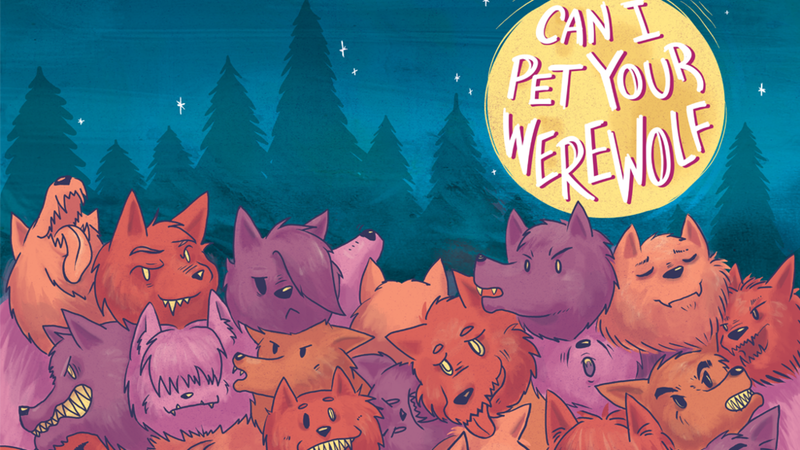 I've got a short comic (drawn by artist Cat Farris) in upcoming anthology Can I Pet Your Werewolf?, edited by Kel McDonald and Molly Muldoon! My story's about a highschool girl who goes for a night walk in a famously haunted gulch in Hawaii, and comes across a wolf-- but there's no wolves in Hawaii, right?! The ADORABLE cover is by Melanie Ujimori, and there's a TON of other super cute, kid-friendly werewolf stories in the anthology as well! You can also snag a copy of La Luna with your preorder on Kickstarter (cover by me, written by me, drawn by Ainsley Yeager). The Beginner's Guide to PrePress and Printing (an informational comic on how to make comics!) is now available for purchase on Iron Circus Comic's shop! I wrote this as a helpful primer on how to prepare comics (and art in general) for print, as well as briefly touching on the tricky subject of how to find and communicate with a printer. David McGuire, fantastic artist of wonderful (and funny) webcomic Gastrophobia, drew the dang thing-- and trust me, there was a LOT of words in this script! So far HOW TO PRINT A COMIC has gotten rave reviews, and I'm pretty sure the information in here will remain relevant for another few decades-- so definitely pick up a copy! $8 is a hell of a lot cheaper than having to reprint a book! I did two illustrations for the science-fiction and fantasy magazine Intergalactic Medicine Show recently, both for fantastic stories. The April story, "Murmuration" by E. Catherine Tobler, for Issues 56, happened to be the cover story! It's well worth subscribing to read the story, imo, but you can view my art for free at the site-- look at Issue 56 (April 2017) and 55 (March 2017) for a black and white "interior" illustration (can you say interior when it's a digital magazine?). Both were fantastic to do.